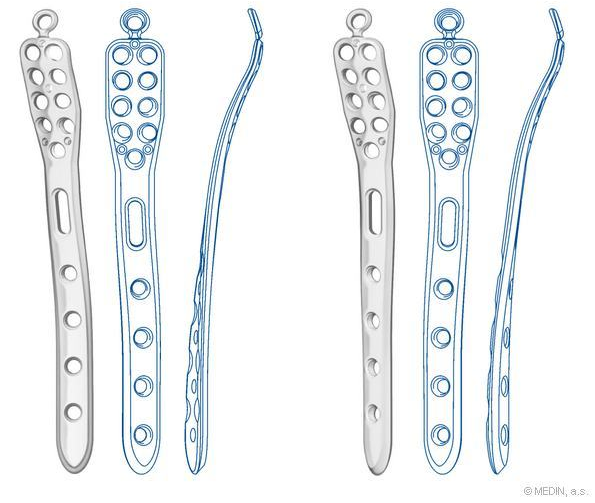 The plate is used for fixation of distal tibia fracture parts. 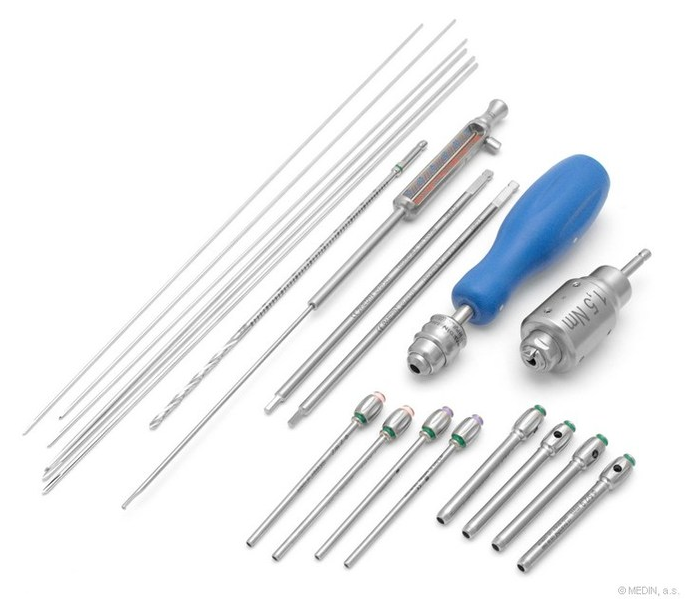 Angularly stable screws are mainly used at articular fractures. The angles of the screws introductions are chosen in a way so that they would fix as many fragments as possible and they would minimise the possibility of screws pulling out of the bone. The distal part of the plate is the same at all the sizes, there are 10 holes for locking screws. The shank part has from 2 to 12 holes and 1 oval hole. The longer plates enable fixation in the area of diaphysis. The plates are anatomically shaped and are supplied in right or left version. To these angularly stable plates are used self-tapping locking screws with diameters 3,5 mm and 3,5/2,7 mm. Implants are made of implant steel ISO 58321E or Titanium Ti6Al4V ELI ISO 5832-3. The system is based on the principle of the inner fixator. By means of the tight connection "screw-plate", the angularly stable connection is achieved between the plate and the bone. This transfers part of the weight from the screw-bone connection to the screw-plate connection. Thanks to that it is possible to use the system successfully even in a less quality and an osteoporotic bone. If the angularly stable plate is used with locking bone screws, the plate and the screws make tight system together. The plate does not have to be pushed against the bone therefore the bone still gets sufficient supply of the blood. 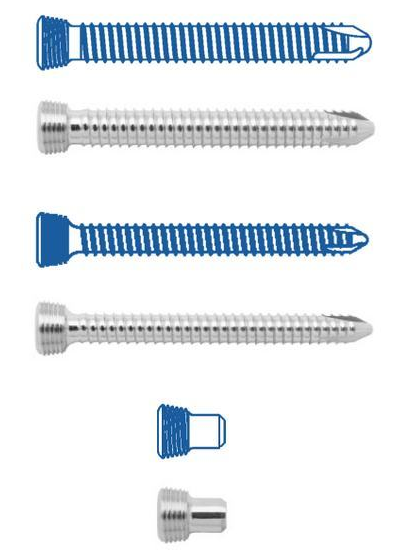 Locking bone screws can be introduced monocortically without enfeebling the strength of the configuration or the fracture fixation, because the screws are firmly anchored in the plate.